Ricky-Lee Gordon paints as Freddy Sam in and around the Woodstock area. This video is for the Artist Network Program supported by RVCA. 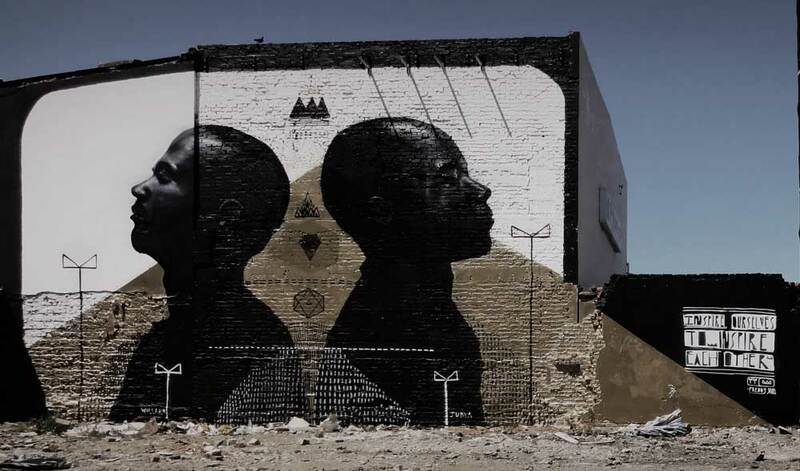 The mural is of Juma and Willard to guys Freddy Sam works with who are from Zimbabwe. You can miss it if you drive down Albert Rd.